Character - Jedi. Points: 13/16. Health: 11. 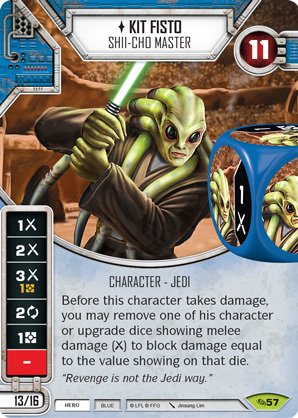 Before this character takes damage, you may remove one of his character or upgrade dice showing melee damage () to block damage equal to the value showing on that die. "Revenge is not the Jedi way."